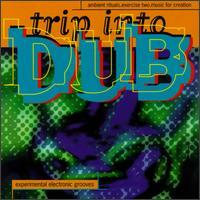 Not quite trip hop, not quite dub. names in the electronic music scene today. DOVe label head GERALD BELANGER. the uptempo and punchy breaks of "Fkls." two-part opus of majestic brilliance. and directed by filmmaker MARK NUGENT. Ask for it on your favorite music video show!!! the west-coast outfit PERFUME TREE. "In Order To Dance" series. Ending the disc is the track "Modular Dub"
never find your way back. CASUALTIES show, now on the air since 1990.
massive attack of trip hop and dub. a dj, a drummer and an MC.